Get your Trashy On, Trashy Vintage Giveaway! ﻿﻿﻿It is finally giveaway EXTRAVAGANZA time!! I am not only so excited to be doing my very first REAL Giveaway, but to introduce you to one of my newest favorite online stores Trashy Vintage!! To celebrate 100 followers Trashy Vintage is Co-Sponsoring a $50 Gift Certificate for one of my amazing Thrifty Blogger Friends!!! THAT'S YOU! Thank You Trashy Vintage! I know! The best part is you could get like 2 or 3 things with one Gift Certificate, that is why I love Thrifting and why I love Trashy Vintage! With an awesome mixture of vintage and new, Trashy Vintage has so many finds..and for those of you who are thrifting challenged, you are able to find your finds all in one place! I discovered this store when I won a gift certificate! I was totally blown away by all of the great finds and finally chose something! I will post some pics of what I chose later this week! So, how can you get your hands on some of these amazing finds you ask? Well, there are quite a few ways to enter but you must make sure to submit separate comments for each entry in order for it to count! Become a follower of ColorBlind, visit Trashy Vintage's Store, and come back and tell me which item is your favorite and how you would style it! Leave a comment letting me know so you are entered! "Like" ColorBlind on Facebook and leave a comment letting me know that you have! "Follow" ColorBlind on Twitter and leave a comment letting me know that you are! "Like" Trashy Vintage on Facebook and leave a comment letting me know. Leave a comment on the Trashy Vintage Facebook Page and let them know you are from ColorBlind! Blog, Facebook or Tweet about this Trashy Giveaway and leave a comment letting me know! Oh, and anyone who is a Thrifter Anonymous member will get an extra entry, just leave a comment letting me know! *This giveaway is open to both US and International residents. Ok, I know there is a lot of work to do, but honestly it is worth it!!! Giveaway ends on Monday, May 2 at midnight!! The winner will be announced Tuesday May 3! THANK YOU TO EVERYONE IN ADVANCE FOR JOINING IN!! I LOVE the "$260 HALE BOB paisley BEADED BURNOUT VELVET mini dress" I would accent it with pops of bright turquoise blue and lots of fun jewelry! Hi! I already "like" Trashy Vintage on Facebook! I "like" Colorblind on Facebook! I'd wear them with a cute fitted tank because I like to have one form fitting piece with one a little more baggy! The boy friend shirt for sure ! I love the "vtg 70s hippie ETHNIC BATIK DASHIKI mini dress S/M/L" I'm a bright color's kind of gal, must be the dreary Nebraska weather. I left a comment on Trashy Vintage's FB- I explained how you CB)led me to find beauty in trashy style. I love the Red Coogi Cosby Sweater dress! Although I am in Vegas, I want it! I need it! Simple wide belt and funky heels is how I would rock it. I left a cool Thrifter Anyomous link on your page. Although I shared it with you, every woman in the world should know the tip- click on eHow entry ladies! I like you...on fb too! Hello!! 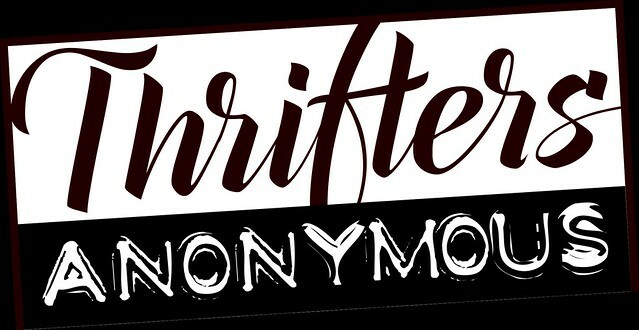 I am a new follower =) LOVE your blog, just signed up for your thrifters anonymous... I have a thrifting addiction- almost all my outfits have a piece (or two or three or all haha) that are thrifted. seriously hard decisions, so many others I could choose. I would rock this with flare jeans, & wedges. I wrote on trashy vintage's wall telling them you sent me! i like the vtg 70's hippie ethnic batik dashiki mini dress on their website! and of course i follow ur beautiful self!! I liked CB on FB! I love the Lucky Brand ruffle bib dress. So cute!!! But there were tons of good finds. I follow your blog! 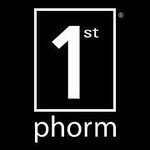 Just started following you, I love your blog! And I would have to say my favorite item from Trashy Vintage would be the 80's black GAUZE HIGH WAIST BUTTON MIDI MAXI skirt. I have been looking for the perfect black skirt for awhile and I can pair this with so many things! Liked you and Trashy Vintage on Facebook! I love the Vintage 80's Grundge Black Floral Lace Babydoll Mini Dress - it extremelyy pretty! I came over from The Mrs. Blog and happened to find the giveaway! I am a follower now and I've just returned from Trashy Vintage. Luvin ALL of the beautiful dresses for spring especially the Flapper Sheer beaded feather mini! I love the MALDITA anthropologie GREEN PRINT BABYDOLL MINI! Super cute! I'm also apart of Thrifters Anonymous! My favourite item is the "vtg 80s 90s grunge WHITE DRAPED CROPPED CROP SHIRT top" I would style that with my vtg taupe high waist riding pants and my grey snakeskin Jessica Simpson dany platforms. I would accessorize with chunky wooden bangles and a long gold necklace. I posted on my Blog, Facebook and Twitter about this Trashy Giveaway! Im now a Thrifter Anonymous member! I adore the "vtg 80s blk PAISLEY BEADED SLOUCH BOYFRIEND VEST jacket"!